Puyallup Valley Physical Therapy is a privately owned clinic proudly serving the greater Puyallup area since 1979. This bright, unique facility was specially designed to provide an optimal environment for physical therapy. State-of-the-art exercise and test equipment, including a LIDO isokinetic machine, plus a spacious hydrotherapy area and private treatment rooms, enhance the clinic. Puyallup Valley Physical Therapy is conveniently located off Meridian Street South in a serene, park-like setting. When patients call or visit, they are greeted by warm, caring staff ready to help – whether scheduling appointments, communicating with other health care providers, or answering questions regarding insurance or treatment. While John’s interest in science led to a degree in Zoology, he was always interested in human anatomy and the functioning and conditioning of the body. After meeting his wife and partner, Joyce, he found that his interests and personality were well-suited to a career in physical therapy. John enjoys the challenge of working with a wide range of orthopedic patients and the problem solving on each case. John and Joyce have two children and four grandchildren. 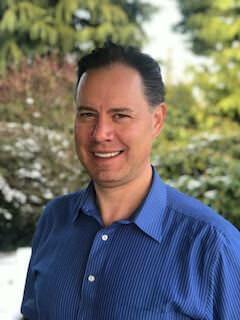 In his spare time, John enjoys spending time with his family and activities such as running, cross-country skiing, camping and music. When Joyce was in 7th grade, she read a newspaper article regarding physical therapy. With the encouragement of her father, she volunteered at a rehabilitation center in Boise, Idaho. 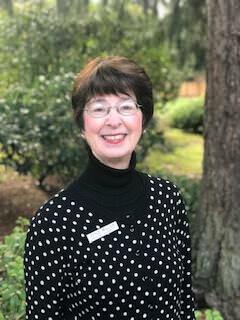 Joyce saw physical therapy as a rewarding profession where she could give of herself by helping others. She enjoys all patients, especially pediatrics and geriatrics. While in college, Joyce met her husband, John, and they now have two children and four grandchildren. In her spare time she enjoys gardening, hiking, cross-country skiing, musicals, camping and travel. 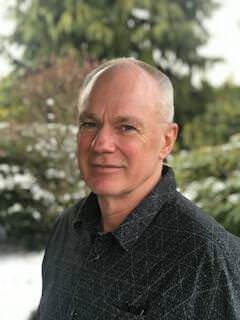 While Don’s interest in nature and biology led to his degrees in Wildlife Biology and Range Management, his listening skills, compassionate personality, and love of outdoor sports motivated him to pursue a career in physical therapy. He enjoys the reward and responsibility of helping each client to regain physical function and independence. Don is interested in all areas of orthopedic therapy, with special interest in spine and extremity conditions. Don and his wife, Janet, have three children. 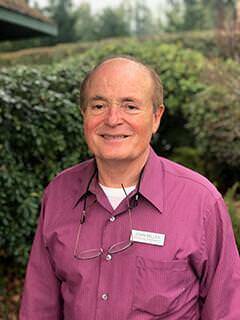 Don is active in his church and enjoys hiking, kayaking, skiing and fly fishing. Jeff has a longstanding interest in health sciences and a strong desire to work with people. Jeff enjoys all aspects of orthopedics and has a special interest in shoulders, spine/pelvis and foot/ankle care. “A patient’s understanding of their physical condition and involvement in their care are key to achieving a positive outcome.” Jeff and his wife, Christina, have two sons. Jeff enjoys spending time with his family doing church and outdoor activities. Focus: General Orthopedics with emphasis in foot and ankle, spine and shoulder. While DeeDee was attending Lakes High School in Lakewood, she volunteered at Madigan Army Medical Center, Fort Lewis, to explore her interest in physical therapy. She learned that this was a progressive, positive profession that encouraged patient involvement in their own care. Her special areas of interest include joint replacement rehab and post-mastectomy care, in addition to general physical therapy patients. DeeDee and her husband Mike have three children. 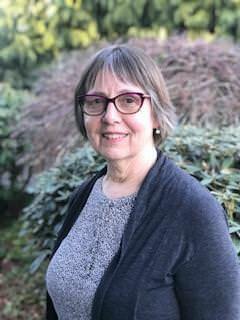 In her spare time, she is on the board of directors for the Puyallup Library and is actively involved with her four grandchildren. DeeDee also enjoys camping, traveling, and reading.